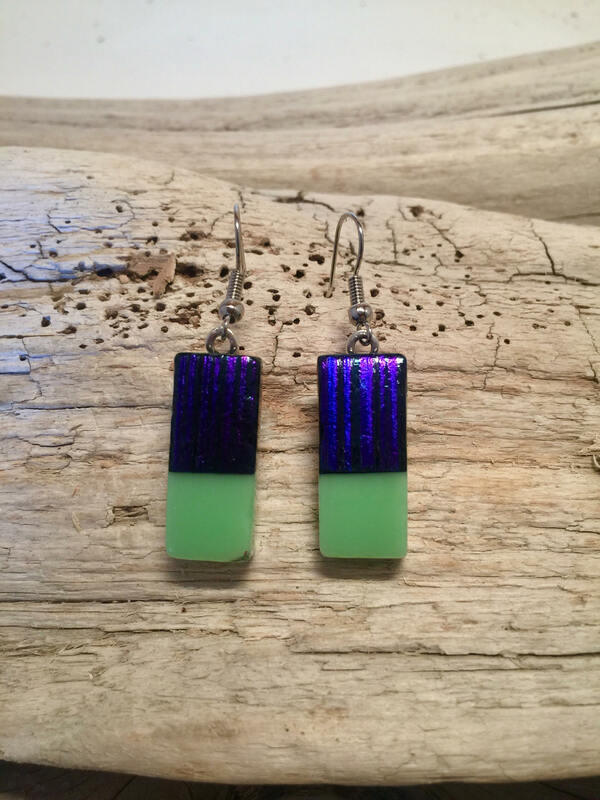 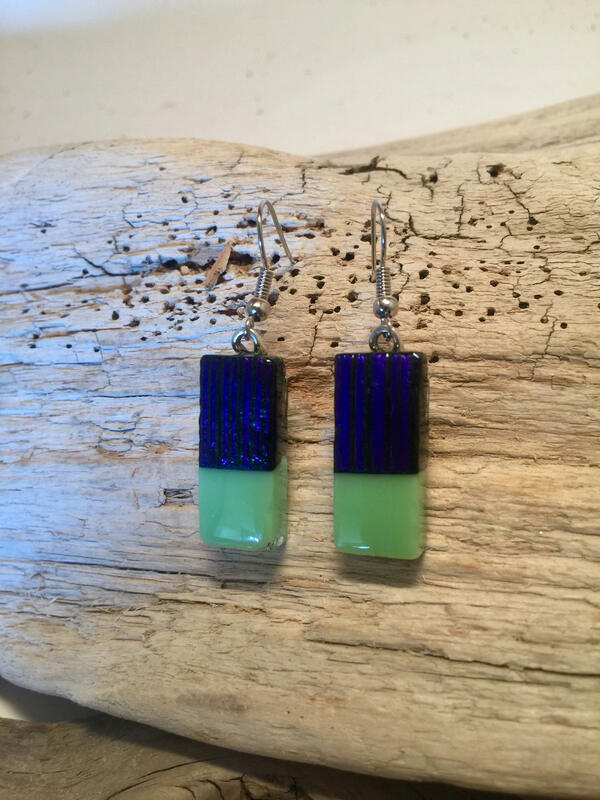 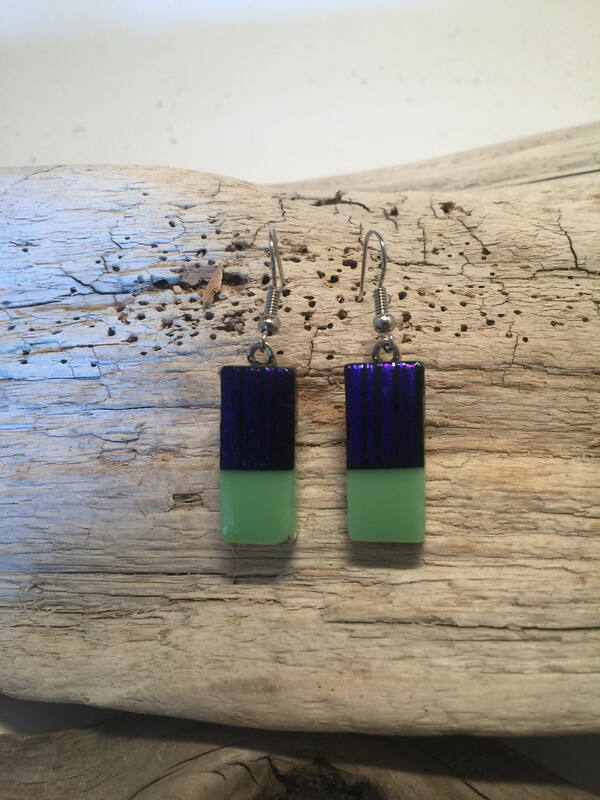 These gem's are one of a kind Dichroic glass dangle earrings they are a beautiful blue and pastel green colour. 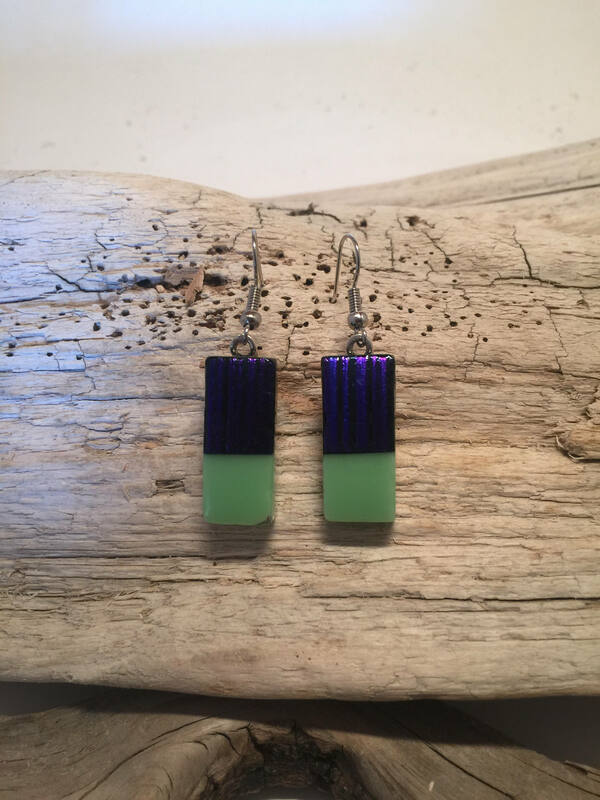 All my jewellery is handmade by me In my home studio. 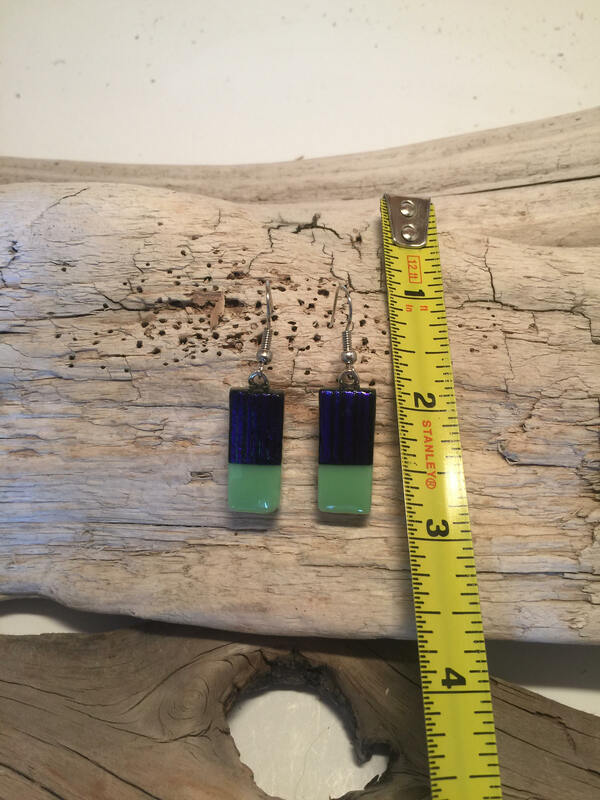 I use surgical steel for all my earring hooks and posts and it is all nickel free.